So, how did I get Savannah to start reading? I took advice from other moms and didn't rush her. Instead I continued to read to her day in and day out, throughout the day and at bedtime. We also spent more time at the library and bookstore, as she was showing a greater interest in books, which is a sign your child wants to learn to read. I let Savannah choose books that were of interest to her and that were early readers that taught the basics in regards to sight words, to get her on the right path to learning how to read. In addition, I took part in the Smart Start Reading Challenge and incorporated the following titles from the Smart Start series into my homeschooling with the girls.. 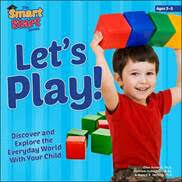 So, what is the Smart Start series you ask? Here is some background on it, as well as the authors..
"The Smart Start series is based on the idea that vocabulary development, even before children start preschool, is absolutely essential to their development as readers. These books, created by three leading child development experts, give parents the tools to have engaging and productive conversations with their kids that foster higher levels of thinking and early literacy." Nancy Hertzog, PhD, is a professor in the area of educational psychology at the University of Washington and the director of the Halbert and Nancy Robinson Center for Young Scholars. From 1995–2010, she held a faculty position in the Department of Special Education and directed University Primary School, an inclusive early childhood setting that serves children from preschool through first grade at the University of Illinois at Urbana-Champaign. Her primary area of interest relates to ways that teachers engage and challenge all students. Ellen Honeck, PhD, is the dean of Gifted and Talented Academy for Laurel Springs School. She has been in the field of gifted education for more than eighteen years, serving in a variety of roles. Her experience ranges from classroom teacher (preschool through eighth grade), school administrator, adjunct professor, facilitator for professional development opportunities, presenter at conferences (local, national, and international), and as a consultant for gifted education. Barbara Dullaghan, MEd, is currently the elementary gifted and talented coordinator for Bloomington Public Schools in Minnesota. Her experience ranges from classroom teacher, educational consultant, facilitator of professional development, published author, and conference presenter. Dullaghan co-created a school-within-a-school for highly gifted children for grades 2–8 that now services over three hundred students. She is also a National Board Certified Teacher. What sets these books apart from other books I have shared with the girls is that it provides an opportunity for open ended discussion and exploration with them. Just like the titles suggest - Around My House!, Let’s Play!, and Let’s Go to the Market! -- you and children will learn about things related to your house, playing inside and outdoors as well as going to market. "Young children are curious about the world around them. 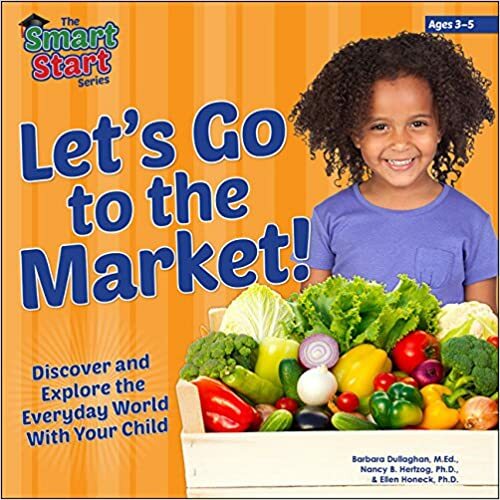 Let's Go to the Market!, the third book in the Smart Start series for pre-readers, fosters engaging conversations for parents and their children through the use of interactive questioning. 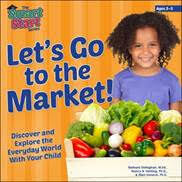 Images in this book convey children and parents in a familiar shared experience: going to and exploring the market. Each image's corresponding questions prompt children to think at critical, creative, and mathematical levels about their everyday surroundings and activities. The open-ended questions stimulate curiosity and invigorate conversations between parents and children. Let's Go to the Market! highlights the vast world of a child's imagination and encourages children to think deeply about the objects and situations they're faced with everyday." "Young children are curious about the world around them. 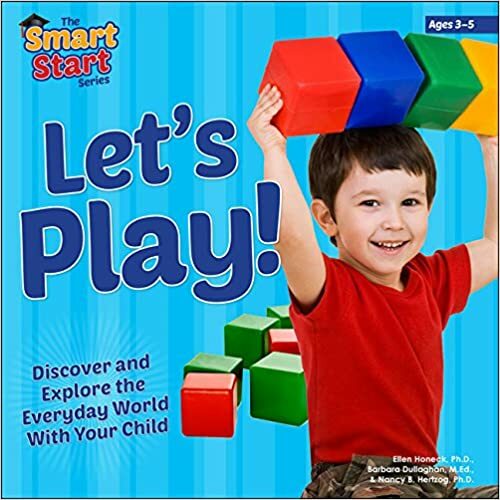 Let's Play!, the second book in the Smart Start series for prereaders, fosters engaging conversations for parents and their children through the use of interactive questioning. Images in this book convey children in realistic and familiar stages of play, and each image's corresponding questions prompt children to think at critical, creative, and mathematical levels about their everyday surroundings and activities. The open-ended questions stimulate curiosity and invigorate conversations between parents and children. Let's Play! highlights the vast world of a child's imagination and encourages children to think deeply about the objects and situations they're faced with every day." 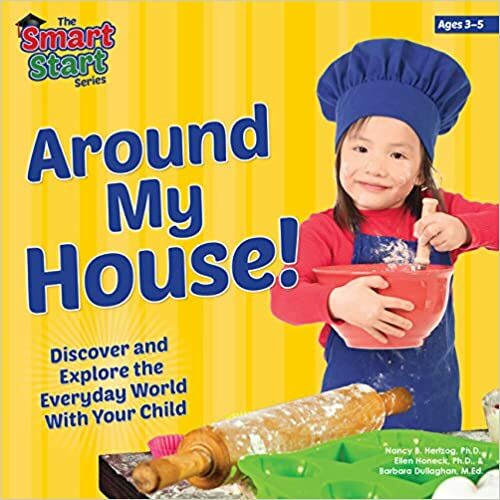 "Through the use of interactive questioning, Around My House!, the first book in the Smart Start series for pre-readers, fosters engaging conversations for parents and their children. Images in this book convey children in realistic and familiar settings around the house: in the kitchen, the playroom, the bedroom, the garage, and more. Around My House! prompts children to think at critical, creative, and mathematical levels about their everyday surroundings, and the open-ended questions stimulate curiosity and invigorate conversations between the parents and children. Around My House! highlights the vast world of a child's imagination and encourages children to think deeply about the objects and situations they're faced with every day." When you pick up these books you will find that they are not like other books you read to your child. There is not really a story to tell. Instead, there are interactive questions that are posed and that let you talk with your children about. As you flip through the pages in these books you will find images of young children doing an act or creatively playing that center around the qeustion prompts. Through the use of critical, creative and mathmatcial thinking, your child is given the opportunity to answer open-ended questions that not only stimulate their curiousity, but also enage them in conversation that helps them build their knowledge and word base. I used the same idea when sharing the "Let's Play" and "Around My House!" books with the girls. They had a blast creating a map of our house to include their bedrooms, the kitchen, living room, etc. I loved being able to share the images from the book to show how other children have similar house and setups, all while having open conversation with the girls. They were answering my questions from the book and even posing some of their own. These books look adorable and it's great to know they worked for your family that is wonderful.